Although many will discount the benefits of smaller self-defense and personal protection items, there is no doubt that having something is always better than having nothing, especially when your safety and perhaps even your survival depends upon it. 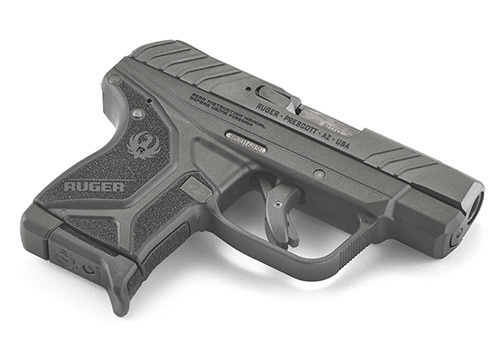 I frequently carry an ultra-compact pistol in.380ACP (Ruger LCP with Crimson Trace Laser Guard), an extremely small folding knife (Kershaw 1310WM Hotwire) and either a Surefire Backup or Stiletto flashlight. I'd obviously rather carry a full-size everything but often it's just not an option. That said, because I practice and am competent with that small pistol, knife and light, I am confident that with proper awareness and prudent decision making it is enough to get me out of a problematic situation. Legality- in some locals even though it is possible to get a CCW and carry legally, the risk of compromise can initiate a scene or a call to local law enforcement that "there's a man in the restaurant with a gun" which can end very poorly. For those reasons it may be a better choice to have a firearm that is extraordinarily small and ultra-concealable. Base-line effectiveness- as for caliber, the rule of thumb is no less than .380ACP but I'd rather have a small, high quality .22LR, .25ACP or .32ACP than nothing at all. Yes, more caliber is generally better as far as effectiveness is concerned but any caliber is better than no caliber. Over the years I've carried the following small guns from .22LR to .380 ACP: Beretta M21 and 2032, Kel-Tek P32 and P3AT, Ruger LCP and Glock 42. They all could be comfortably pocket carried and I always felt better having them on my person and with them felt capable of getting out of a bad spot if necessary. There are other high quality ultra-compact pistols out there so these are just ones I've personally carried but in no way are the only ones available. Reliability- small shouldn't mean unreliable. Any gun regardless of caliber should be reliable and that's not even negotiable. I had a Beretta 21A in .22lr and it ran anything reliably. Yes, it was a .22lr but in a pinch it's better than nothing and it's solely a defensive tool. Most attacks are not planned by the perpetrator to engage in a shootout with the victim. In common speak, "they didn't come for a gunfight, they came for free stuff". Having a gun makes the potential benefit of an attack drop to near zero because of the lethal potential the victim now presents and that changes the situation immediately. Again, in the case of an attack on a perceived unarmed person "any caliber is better than no caliber". Portability/Concealability- this is obviously the emphasis of the article and the single unique requirement that drives the debate, the clothing and the caliber. Often men and women have wardrobes and requirements that are very restrictive of space available for concealment of a handgun. For this reason, the smallest handgun that can be carried in a secure concealed location and can be effectively fired is at the discretion of the end user. Look for an ultra-compact, high quality handgun and when concealment is a challenge, carry it instead of being unarmed. A knife is a puncturing and cutting tool and one that has myriad uses in everyday life. We use one to open packages, prepare food, cut cord etc. 99.99% of the time but that other .01% is where it may be all you have to save your life. From a combative perspective, the benefit of an edged weapon is that it takes very little skill to be lethal … that is also the drawback. Literally anyone with an edged weapon and intent is a lethal threat. We need only look back to September 11, 2001 to see that blade length and overall configuration are far less important to effect than is intent. 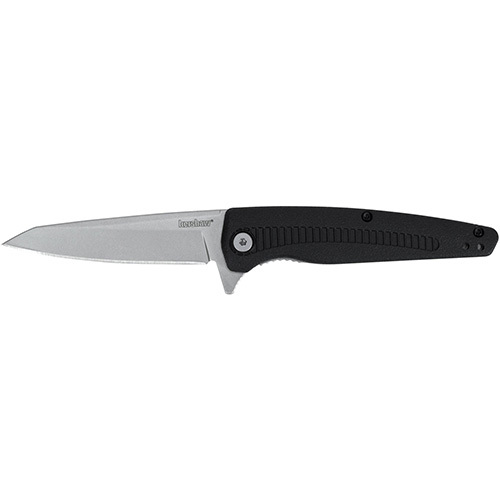 Though I must admit I am a huge fan of custom and high-quality production folders and fixed blades I often carry a very inexpensive CRKT 1310WM Hotwire folder I bought at Walmart on a trip for $9.86. Its sharp as a scalpel and does all the cutting chores I need it to do but is easier to carry than a pen in my pocket. It is a cutting edge that will allow me to open boxes, cut food, cut a seatbelt or be employed as a defensive tool with very substantial effectiveness. Again, it doesn't have to big or expensive as much as it must be present. In the absence of ambient light, your own handheld can often be a lifesaver. Any light that creates a reasonably focused beam and can create 30 lumens or more with the preference being 60-90 lumens will be of great benefit in any environment where ambient lighting is not present or artificial lighting has failed. There are several high-quality lights available with LED bezels that can create anywhere from 30-300 lumens and run on AAA, AA or CR123 batteries and some models like my Surefire Stiletto are rechargeable. 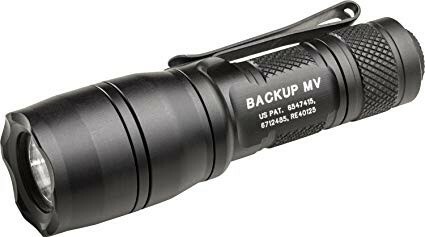 I've personally carried Maglite, O-Lite, Streamlight and Surefire lights at different times and places and have had all perform as advertised and as needed. I have lights in all my vehicles and carry a small one daily. I view it as a safety tool that is a requirement for day to day activities. With increased lumen output you will invariably have increased size and batter life usage. I am convinced that a good 90 lumen light is enough to navigate a dark area and engage with a firearm out to 15 yards with substantial effectiveness. There are lights ranging from micro to compact readily available now that range from 30-300 Lumens and $12-$200. Find one that fits your needs and have it with you daily. The most salient point of this piece is that often a locale', vocation or clothing choice may preclude the carrying of larger security and support items i.e. gun, knife and light. For this reason, we must look objectively at the benefits that smaller items can still provide and take advantage of their stealthy nature to enhance their effectiveness. Finding an ultra-compact gun, knife and light should be on your list before you purchase another full-size or even compact item of each kind. For the reasons and rationale stated above, sometimes a little gun, a little knife and a little light are the best option we have…since not carrying what's needed to safeguard yourself is not an option!